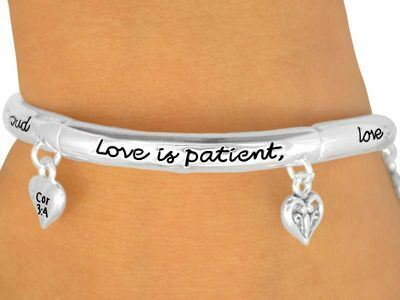 Polished Silver Finish Stretch Bracelet Reads, "Love Is Patient, Love Is Kind. 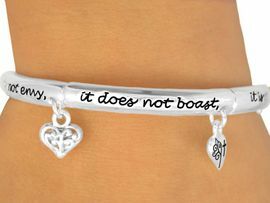 It Does Not Envy, It Does Not Boast, It Is Not Proud." 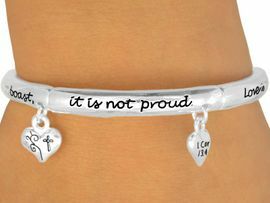 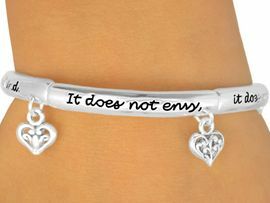 Bracelet Suspends Multiple Decorative Heart Charms, And One That Reads, "1Cor 13:4".